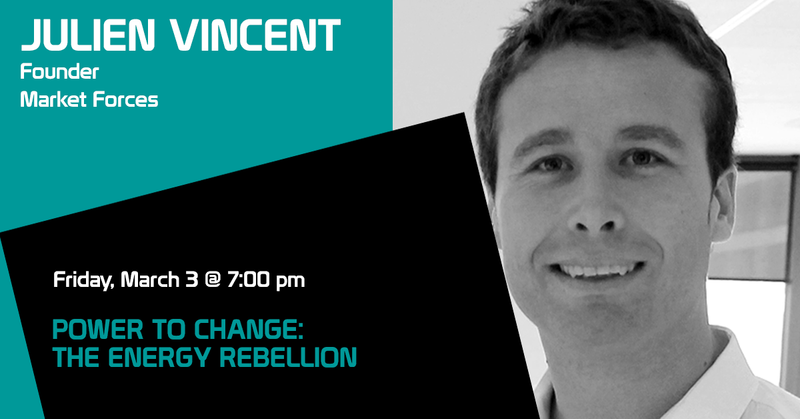 Julien Vincent is the Founder and Executive Director of Market Forces, a Friends of the Earth affiliate project focusing on finance and investment. Market Forces works to help Australians move finance and investment out of the fossil fuel industry in a way that creates the biggest impacts to the coal, oil and gas sector possible. Since starting in 2013, Market Forces has helped to move billions of dollars in finance out of the fossil fuel sector, changed the policies of major banks and prevented investment in some highly controversial proposed fossil fuel projects. Julien has worked as an activist and campaigner on environmental issues for over ten years, predominantly at Greenpeace as a climate and energy campaigner in Australia, as well as their international headquarters in Amsterdam.